With Air Port 2 support added, the AirPort Express is your ticket to whole-house audio. It’s possible you have an old AirPort Express wireless router in a box somewhere. Dig it out and set it up, because it can now be used as part of an AirPlay 2 audio system. Even though it’s been discontinued, Apple just issued a firmware update for the second-generation AirPort Express that adds AirPlay 2 support. This despite the fact that Apple hasn’t refrashed the AirPort Express line since 2013. It debuted every bit of five years ago, but the AirPort Express 2 has a feature not included in most wireless routers: an audio port. This allows almost any speaker to be plugged in. It also has 802.11a/b/g/n and supports 2.4GHz and 5GHz wireless bands. The second-gen AirPort Express has an audio port, so it can used as an Air Play 2 device. Once the wireless router has been upgraded with the new firmware, it will show up as a speaker when adding AirPlay 2 accessories. The original version of AirPlay allows you to wirelessly stream audio from an Apple computer to a compatible speaker. With AirPlay 2, the audio can be simultaneously streamed to more than one speaker. Plus, the new version allows multiple Apple devices to interact with the audio being streamed. AirPlay 2 only came to iPhone and iPad with iOS 11.4 this spring. 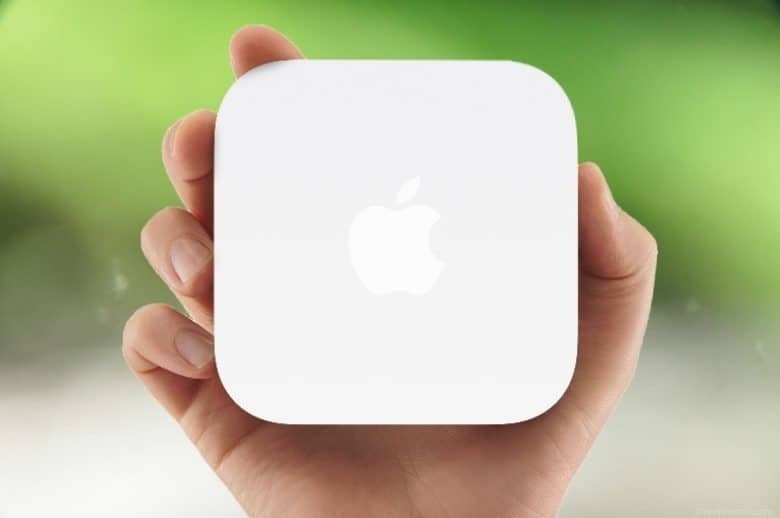 As mentioned, the AirPort Express 2 is discontinued. It once sold for $99, but it’s been around for so long that used units can be found for under $50. That means it’s possible to pick up a couple and have whole-house audio for a lot less than a collection of HomePods.